If you caught my last post, you know it was inspired by my friends over at Adventuring Pandas asking me where they should go in 2017. I had more ideas than one post could accommodate, so I broke it into two halves. Voila: the second half! My friends over at Adventuring Pandas recently asked me where they should go in 2017. The answer is wherever they can get themselves to, but even after I’d narrowed it down from there, I realized the answer required more than just a Facebook reply—and besides, many of my readers are probably also planning their 2017 adventures. What follows is the first half of a collection of places I’ve visited in Europe that would make a decent long weekend, with at least one reason why I loved it! The second half of the list will follow in a few days. For me, it was learning about the Loch Ness Monster. In the middle of a childhood defined by fiction books, I distinctly remember sitting at a table in the back of my third-grade classroom, looking at the famous surgeon’s photo in a book, and realizing this was a place that really existed (even if maybe the monster did not). 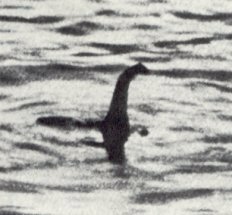 Twelve years later on a cold and rainy February afternoon, I stood on the banks of Loch Ness itself, looking for the monster and drinking some tea. Life rewards us that way sometimes. As a big fan of thrift stores and ApartmentTherapy.com, I love seeing how people make something beautiful out of what was once far from it. To understand where I’m coming from, please bear with a bit of a world history lesson, then a personal history reflection, before I get into the Death Strip. I didn’t name my blog “in transit” just because I like to travel. It’s really (primarily!) because my life is always transitioning. Take the past month, for example, while I’ve transitioned into full-time job search and part-time transcription work. But this morning I looked up from re(re)(re)customizing my résumé and realized I never wrote about Berlin Underground! While I was visiting my friends in Berlin (now with a blog of their own at Adventuring Pandas), we had dinner with Rob, once of the This Week in Germany podcast. When he found out I was undecided about my plans the next day, he recommended the Berlin-Underground Tour (which he’d featured on Episode 105, around the 10 minute mark), and Rob, I’m here to say thank you. I only wish I’d had time to take ALL of the tours they offer that day instead of just one! Great tour, great price, go go go!!! But I digress. Whatever the literal translation, his meaning was clear. And today, I feel exactly the same way.